The Supreme Court today refused to pass any interim order against the Centre's notification making Aadhaar mandatory for availing benefits of various social welfare schemes. A vacation bench of Justices A M Khanwilkar and Navin Sinha said that no interim order can be passed at this stage on the "mere apprehension" of petitioners that government may deprive people from availing benefits of various social welfare schemes due to lack of Aadhaar. The bench referred to the June 9 judgement passed by the apex court in which it had upheld the validity of an Income Tax Act provision making Aadhaar mandatory for allotment of PAN cards and filing of tax returns, but had put a partial stay on its implementation till a Constitution bench addressed the issue of right to privacy. The bench said, "In view of the observations made in the judgement in Para 90 of the case... decided on June 9, no further observation is required." "No interim order can be passed in mandamus on mere apprehensions. You have to wait for one week. If somebody is deprived (of the benefits) you can point out the same to this court," the bench told Divan and posted the matter for further hearing on July 7. 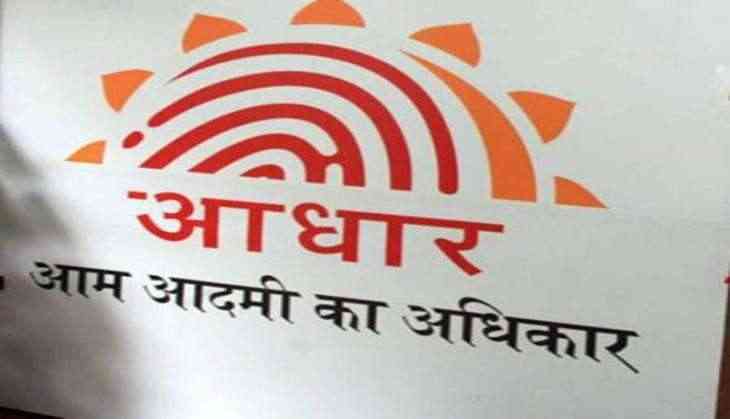 The apex court was hearing three separate petitions challenging government's notification making Aadhaar mandatory for availing benefits of various social welfare schemes. The Centre had on June 9 told the apex court that around 95.10 per cent of the entire population has voluntarily registered for Aadhaar and apprehension of "large-scale exclusion" of citizens from government benefits due to lack of unique number was "misplaced" and "unfounded". The government, in its counter affidavit filed in response to several petitions opposing the scheme, had quoted a World Bank 2016 report, which said if Aadhaar was applied to all social programmes and welfare distribution, it would save the government USD 11 billion annually. The Centre had said that in 2014-16, the government's savings through Direct Benefit Transfer Scheme on account of Aadhaar was Rs 49,560 crore. It had said though the notification requires people to enroll for Aadhaar by June 30, those who are unable to get themselves enrolled due to lack of facilities, can give their contact details and would be registered later. The UIDAI had said when Aadhaar has been adopted by several authorities in pursuant to directions by the apex court and as per legislative amendments by the Parliament, the court ought not to entertain applications seeking interim stay of notifications passed in pursuance to the Aadhaar Act 2016, as it would stall and interfere with the governance. The Centre had on May 19, refused to extend the June 30 deadline for making Aadhaar mandatory for availing social scheme benefits. Attorney General Mukul Rohatgi had said "there is no question" of extending it and added that the idea behind making Aadhaar mandatory for welfare schemes was that the benefit should not go to "ghosts" as was noticed in schemes like the public distribution system (PDS). Earlier, the apex court had passed a slew of orders asking the government and its agencies not to make Aadhaar mandatory for extending benefits of their welfare schemes. The apex court, however, had allowed the Centre to seek Aadhaar card voluntarily from citizens fro extending benefits of schemes like LPG subsidy, Jan Dhan scheme and Public Distribution System etc.